The Mekong is one of the world's largest and longest rivers, empties in the sea in the Southern Vietnam. The Delta was long time part of the Khmer kingdom and is today one of the most important areas of Vietnam. This is a perfect journey to explore Mekong Delta, deep into eco cruise. 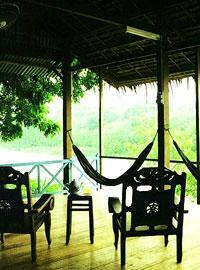 Experience local life and overnight at simple accommodation in traditional Mekong house. Delicious lunch at "Le Longanier", a superb Indochinese villa. Discover the rural life style and daily activities of the delta inhabitants. At 8am, our guide and driver will pick you up and head to Mekong Delta. The cruise will begin with the visit of Cai Be colorful floating market, then proceed to Phu An hamlet, an untouched beautiful area reflecting some of the best sights the Mekong Delta can offer. On the way, you will stop over at local home factories, observing how rice paste, coconut candies and other regional specialties are made. A delicious lunch will await you at "Le Longanier", a superb Indochinese villa located by the river, in a lush tropical garden surrounded by fruit plantations. After lunch, your private sampan will cruise deeper to Dong Hoa Hiep and An Binh islands, a peaceful escape where you will be able to discover the rural life style and daily activities of the delta inhabitants such as roofs making with palm tree leaves, a bricks and tiles artisanal factory, net fishing, an ancient Mandarin house dating from late 19th century…Cruising along Dong Phu canal, we will make a last stop at a fruit orchard and bonsais plantation near Binh Hoa Phuoc islet, evergreen islands remain unknown to many people. Late afternoon, disembarkation and check-in at a traditional charming house built on pillars by the river (Mai Quoc Nam or Muoi Dai). Rest of the day at leisure in a peaceful and romantic atmosphere. Crossing the Co Chien River, some of the largest Mekong's arm, we will cruise under the spectacular My Thuan Bridge. A stop will be made at Dinh Tan Hoa, an ancient provincial house built some hundred fifty years ago…Then we will proceed the cruise up-stream on the Tien Giang river, another large arm of the Mekong. Enjoy a visit at brick factory, we will continue our cruise to Sa Dec around noon. The town is appearing like a little “Venice” with numerous narrow canals, with various kind of activities on the banks. At around 3pm, you will disembark at Sa Dec local market, one of the biggest of the delta. An optional visit of Sa Dec charming and peaceful town can be arranged by your own, walking along its narrow streets and beautiful old houses dating from the last century, some old Chinese temples, including the primary school of Marguerite Duras famous writer. (See Marguerite Duras novel turned into a famous movie, “The Lover”). The excursion will end at around 3.30pm. Our waiting vehicle will transfer you back to Saigon. End of services by Indochina Travel Service. Tour can be organized for 2 people min.